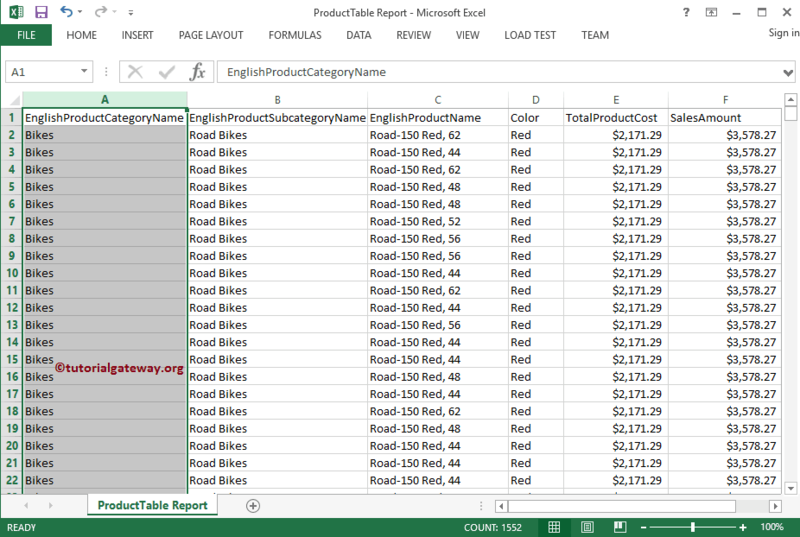 For this example, We are going to use below-shown DataSet. Please refer to Shared Data Source and Dataset articles to understand the steps involved in creating Shared Data Source and Dataset that we used for this report. 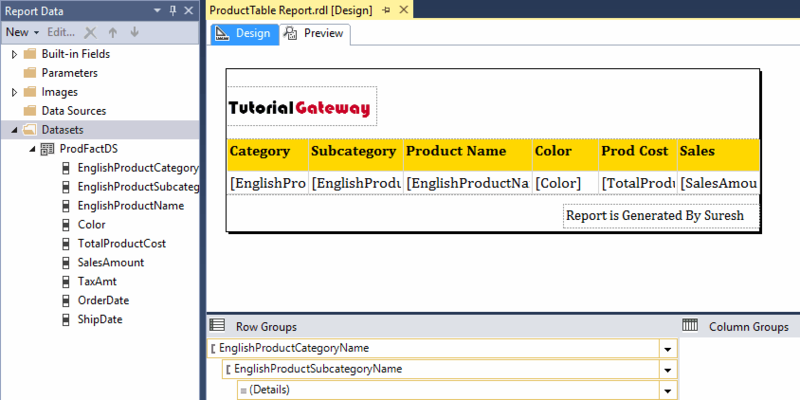 To explain the steps involved in exporting SSRS Reports, We are going to use the below-shown report. 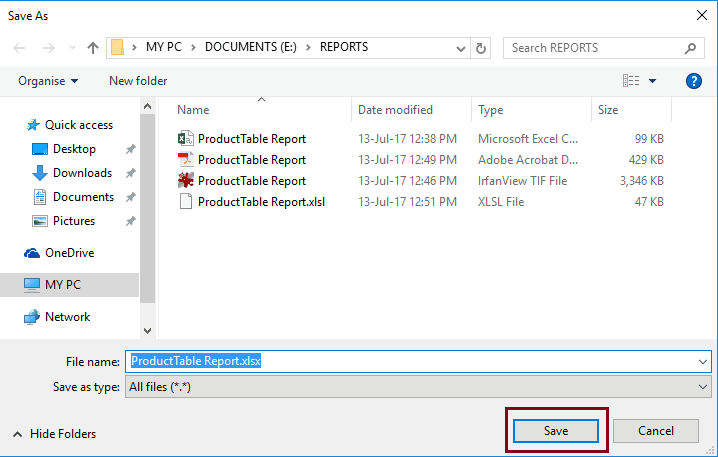 Please refer SSRS Table Report, Format Table Report in SSRS article to understand the steps involved in creating and formatting Table Report, and refer Grouping in SSRS Table Report article for Grouping techniques. 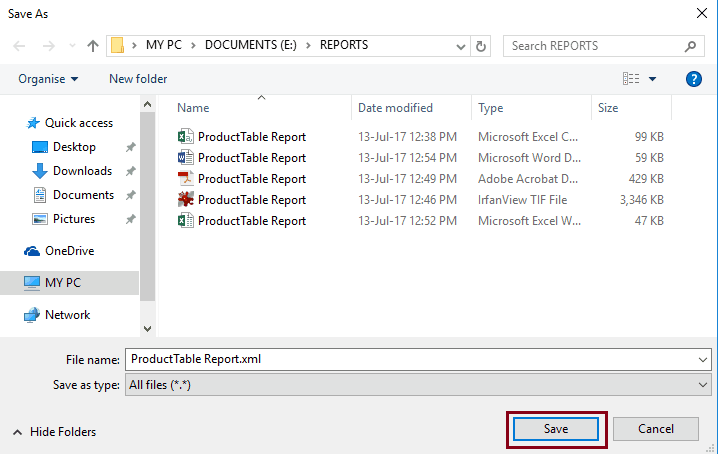 This will open the SaveAs dialogue box to save the CSV file. 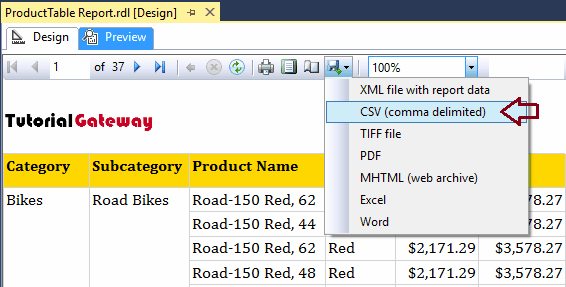 Here you can select the Drive, or Folder (Location) to save this CSV file. 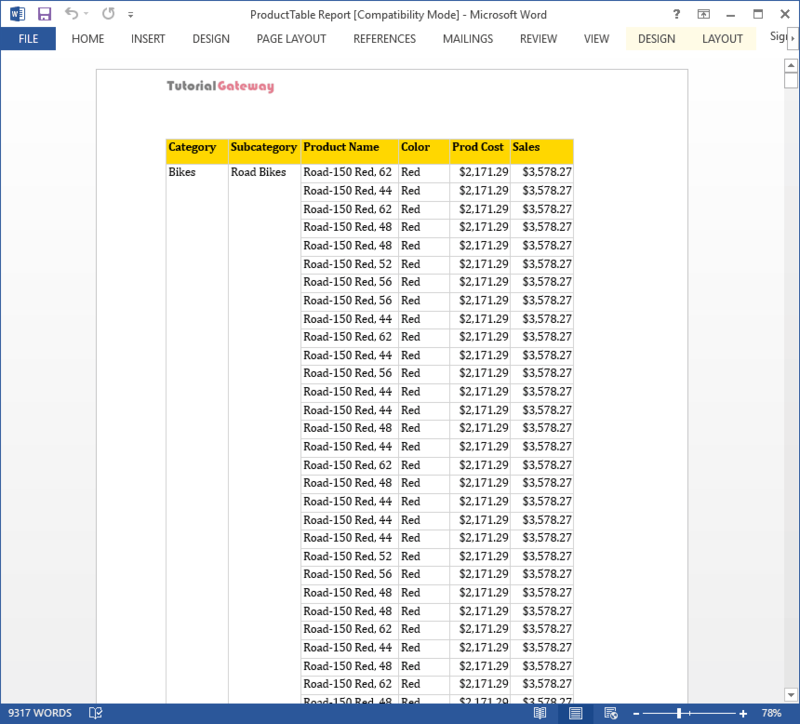 From the below screenshot you can see that we are selecting the REPORT folder in our E Drive. Let me open the CSV file. 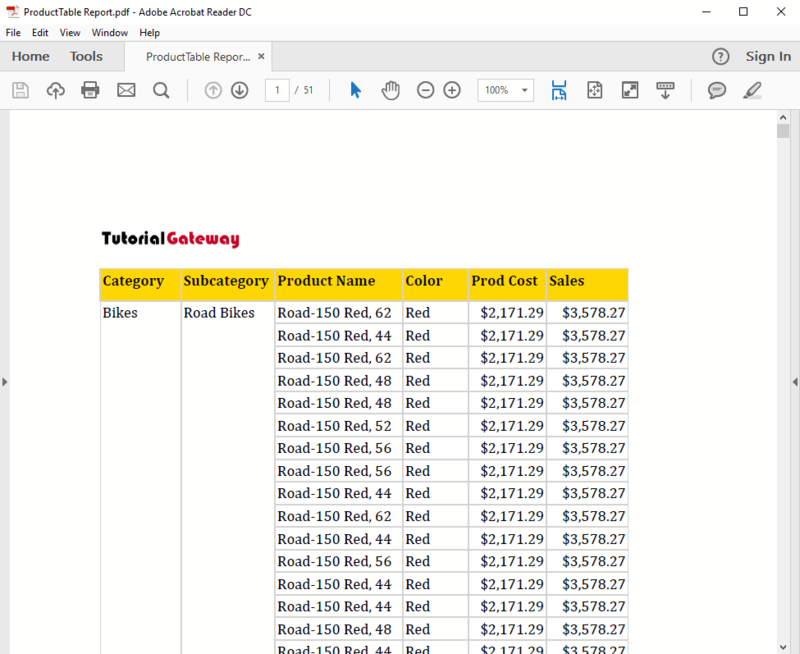 As you can see it is displaying all the records that we generated in the SSRS report. 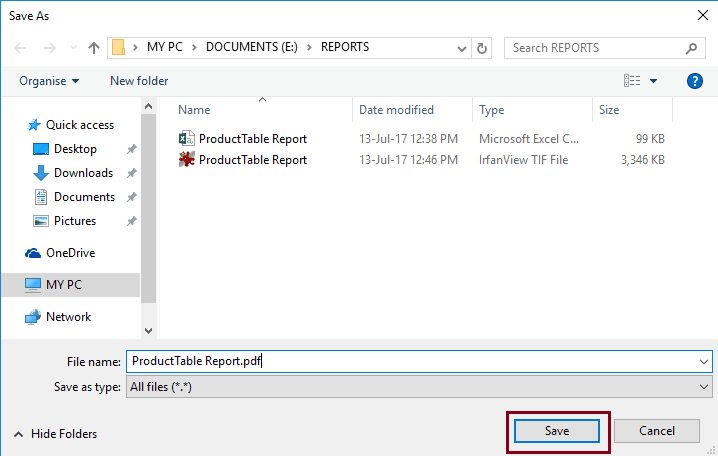 This will open the SaveAs dialogue box to save the TIFF file. 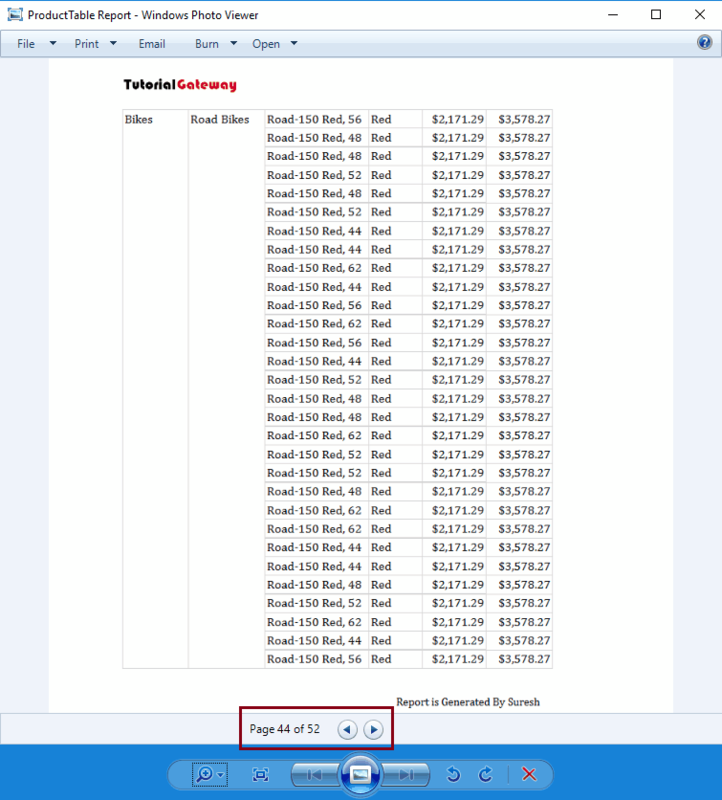 From the below screenshot you can see that we are saving this file to REPORT folder in our E Drive. Let me open the TIFF file. 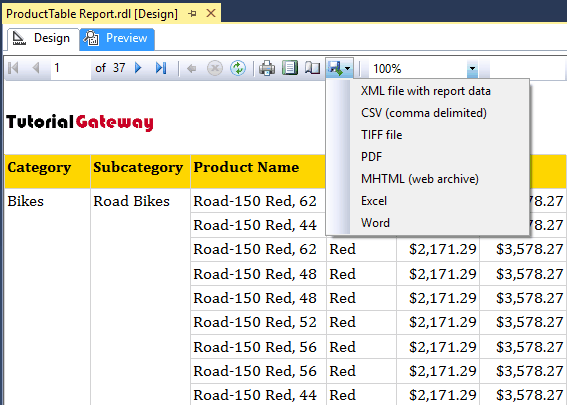 As you can see it is displaying all the records that we generated in SSRS report along with the Format (Grouping). 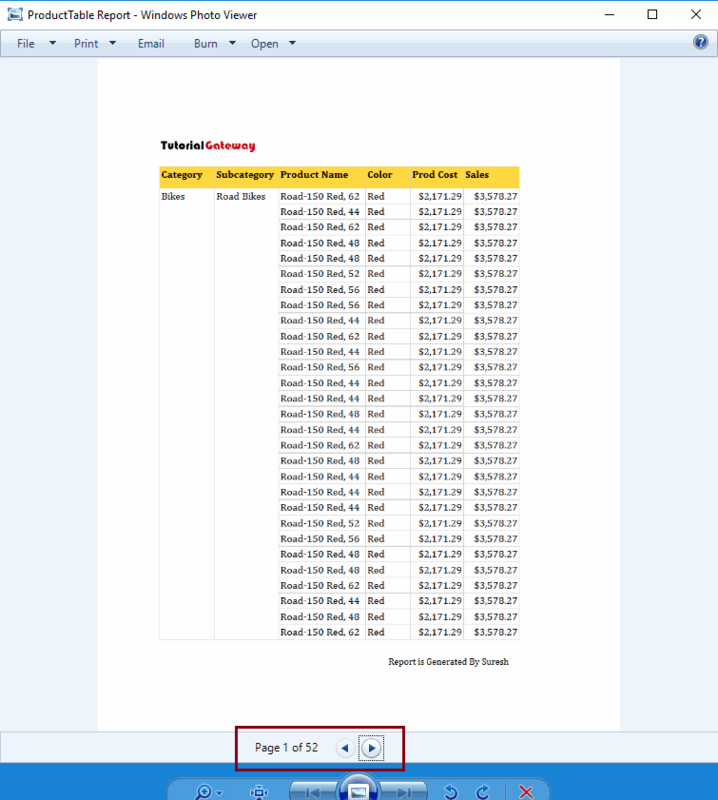 From the below screenshot you can see that we are saving this PDF file to REPORT folder in our E Drive. Let me open the PDF file. 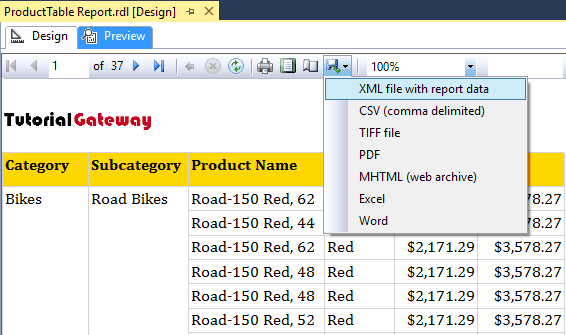 As you can see it is displaying all the records that we generated in SSRS report along with the Format (Grouping). 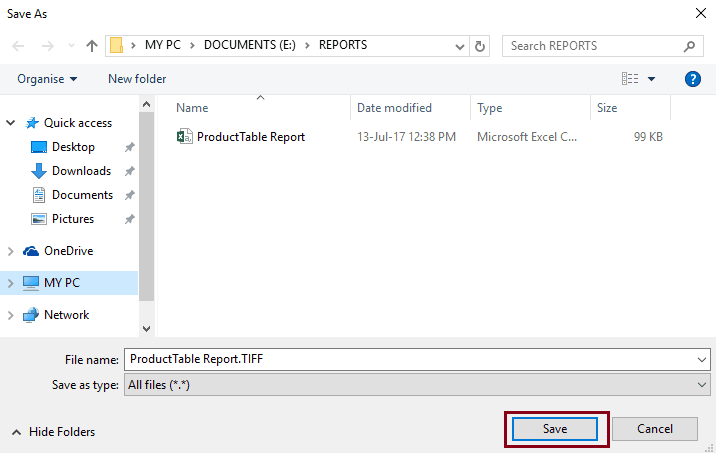 From the below screenshot you can see that we are saving this Excel file to REPORT folder in our E Drive. 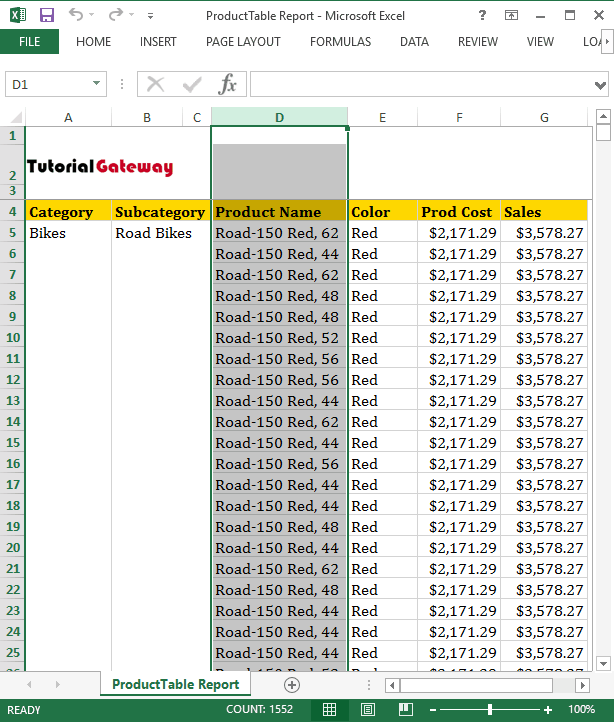 Let me open the Excel spreadsheet. 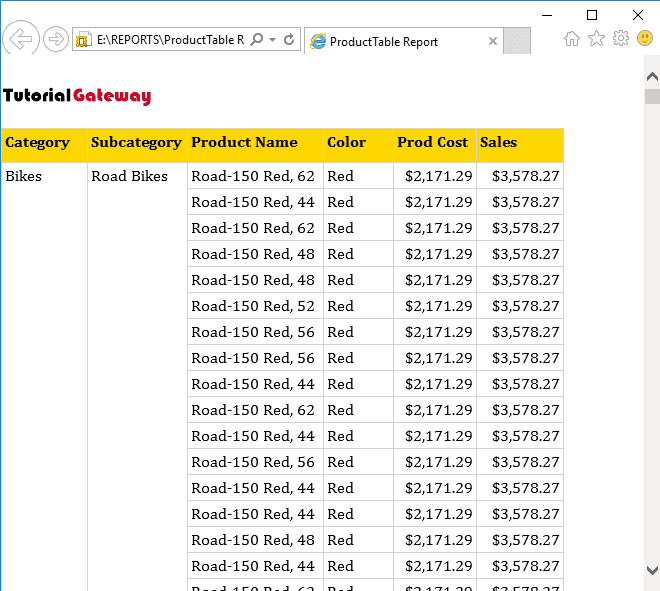 As you can see it is displaying all the records that we generated in SSRS report along with the Format (Grouping). From the below screenshot you can see that we are saving this word document to REPORT folder in our E Drive. Let me open the doc file. 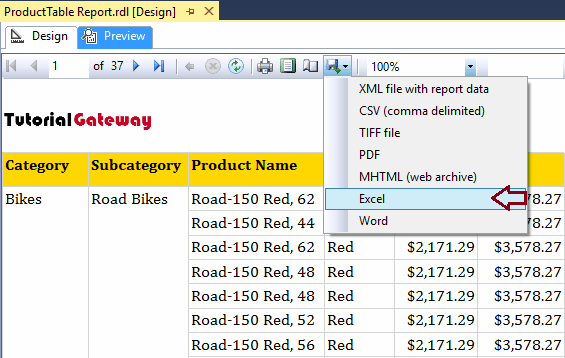 As you can see it is displaying all the records that we generated in SSRS report along with the Format (Grouping). 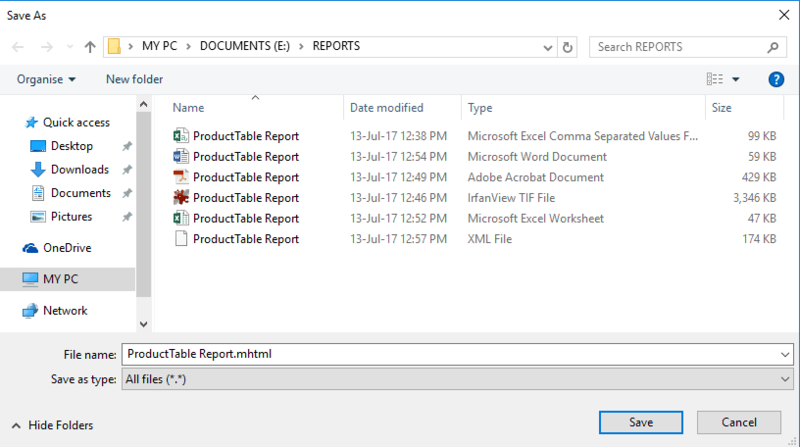 From the below screenshot you can see that we are saving this XML file to REPORT folder in our E Drive. 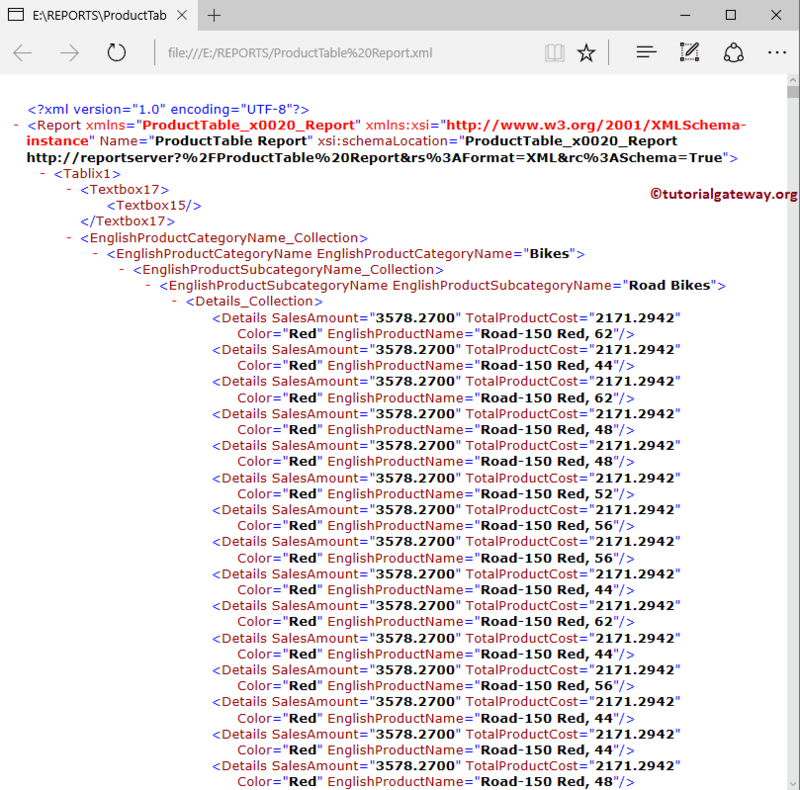 Let me open the XML file in Microsoft Edge browser. 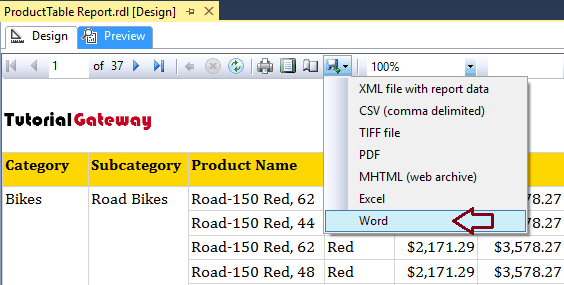 As you can see it is displaying all the records that we generated in XML format. 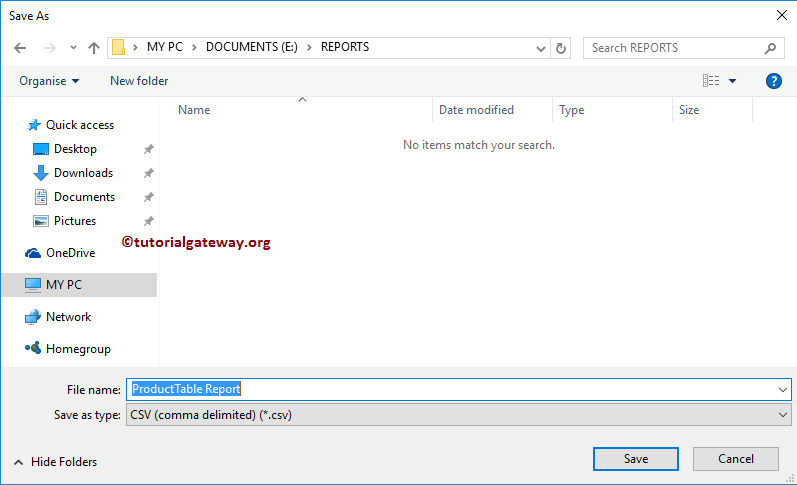 From the below screenshot you can see that we are saving this mhtml file to REPORT folder in our E Drive. Let me open the MHTML file in the browser. 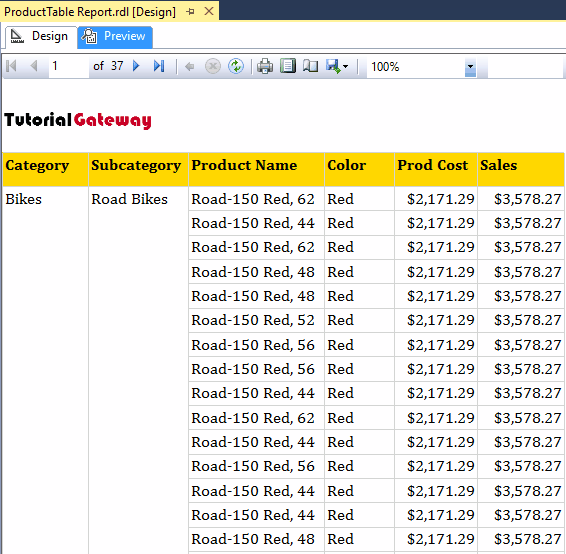 As you can see it is displaying all the records that we generated in SSRS report along with the Format (Grouping). 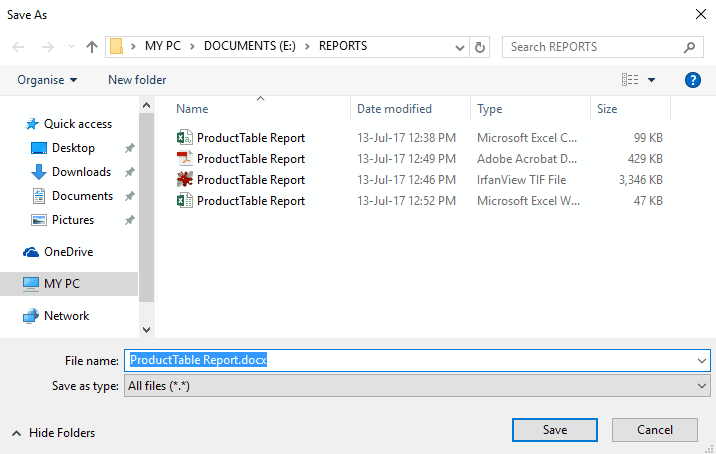 Let me open the Report folder. 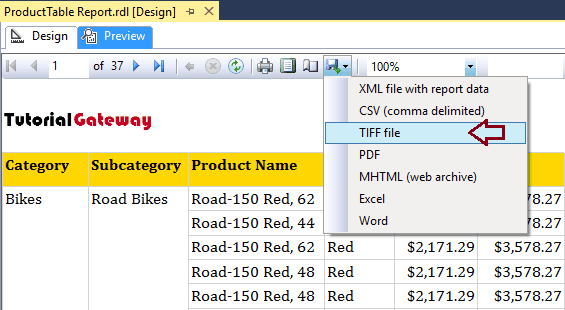 As you can see all the file formats that we saved in the example.